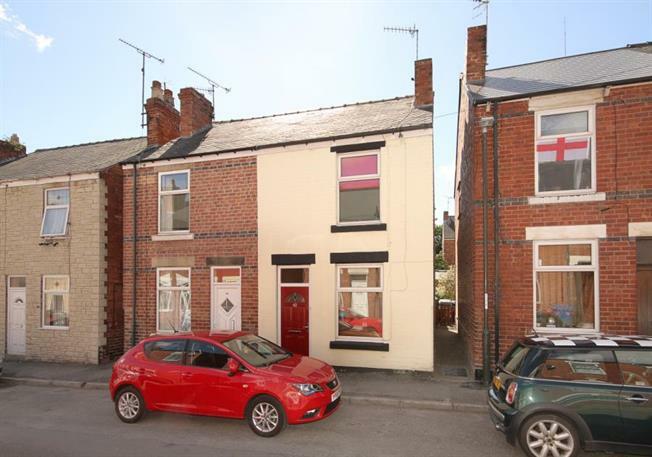 2 Bedroom Semi Detached House For Sale in Chesterfield for Guide Price £95,000. EARLY VIEWING ESSENTIAL .... Located in this much sought after residential area of Brampton within approximately half a mile of the Chesterfield town centre, A two bedroom semi detached property ideal for investors or first time buyers. Comprising of lounge, dining kitchen with a range of wall and base units, three piece bathroom suite with shower, low level flush, wash hand basin and rear yard.